One of the smart things for a celiac do to is to turn to foods of cultures other than their own, which are in itself gluten-free. It helps conquer a very new and rich perspective on food and thus make you feel much less restricted. The other thing about being celiac is: you are stuck cooking for yourself pretty much all of the time. No more take out, being very picky about restaurants and being invited into other people’s homes. It gets tiring. So for one I am struggling for quick and healthy meals, and on the other hand I want to have as much variety as possible. You can find very wonderful options for your gluten-free vegetarian diet when you look beyond your national, cultural and culinary borders (the latter within reason, hehehe). 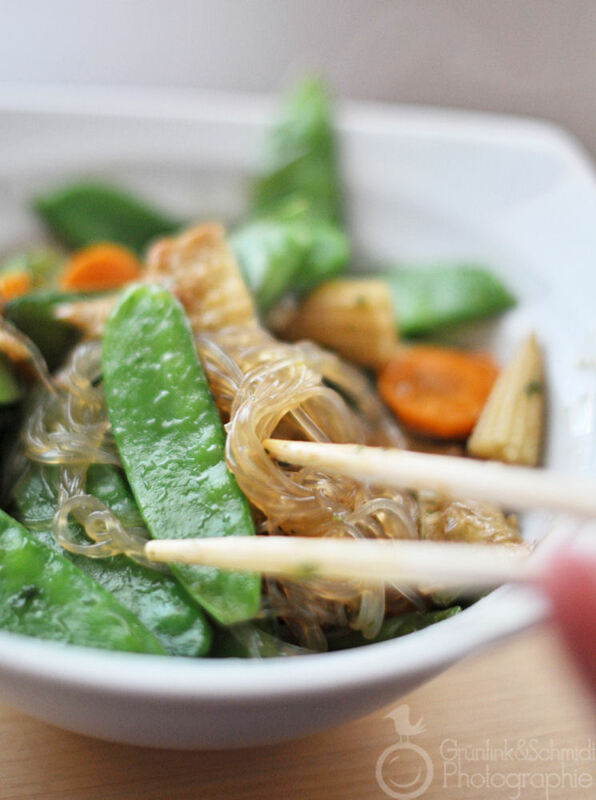 There are many examples (and we’ll come to them later), but a lot of Asian cultures have plenty of gluten-free food. Think summer rolls and vermicelli, curries and Turkish rice pudding. Now, when cooking with soy-sauce (and I am not saying that all East Asian food contains it), you should be careful to use tamari (or gluten-free soy sauce), for regular soy-sauce usually contains wheat flour. For years prior to my diagnosis, I tried my luck at stir-fries – and ate one catastrophe after another. When I received my diagnosis, I realized that not only eating out in general would become difficult, but that eating at Chinese or Thai restaurants would also be difficult when on a vegetarian, gluten-free diet. I’ve obviously not been to every Chinese/Vietnamese/Thai restaurant, but the ones I have tried have been quite tricky for gluten-free vegetarians. The first – advertising gluten-free options on its website – didn’t have any gluten-free soy sauce, for they simply substituted this ingredient with fish or oyster sauce, both of which I do not eat (and I’m not a fan of sweet and sour sauce I regret to admit). I ended up having to run to a near-by supermarket (arriving five minutes before it closed down for the night) in order to buy my own gluten-free soy sauce. Otherwise the remaining three people who were at dinner with me, would have remained dinnerless, too. In any case, after my diagnosis I first thought that I would have to cook the food served in Europe at Asian restaurants at home or I would never be able to eat it again. Which would be a pity, because I think highly of this type of food. So, I read up a bit on stir-fries and after a try or two I figured it out. I mean: I had to. Not eating stir-fries again was simply not an option! The thing is: you need to practice mise-en-place. You prepare everything: chop your onions, clean your sugar peas, slice your carrots, whatever needs to be done and then place all ingredients next to your stove. You put the oil in the wok, you wait until it is hot, then you throw everything in there and stiry and add your spices – and ta-dah! – three to four minutes later you have yourself a meal! I enjoyed cooking stir-fries so much, that I went and bought myself a wok – but only after reading up on how to season, clean and maintain a wok (on www.thekitchn.com). 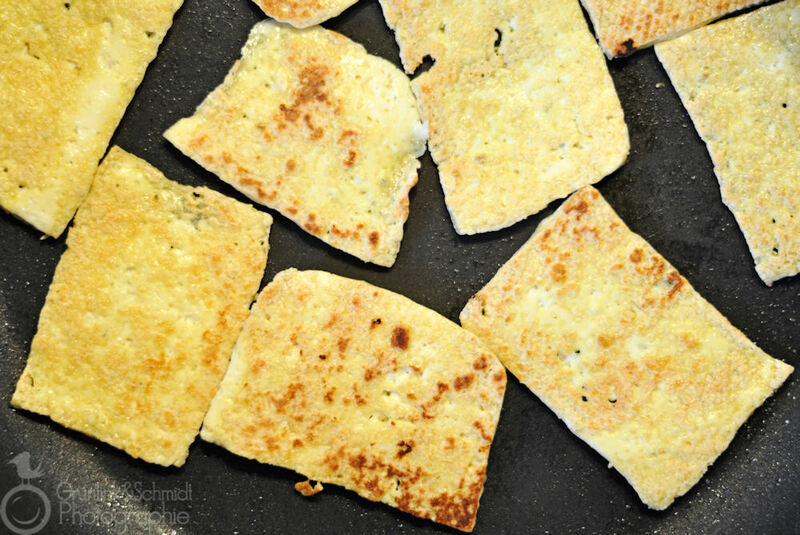 Thinly spread out one teaspoon of the vegetable oil in your pan and then add the slices of tofu once the pan is hot. Salt liberally. Let become crispy on one side and then repeat the process with the other side. This will take a bit. Place in a bowl and after they are a bit cold, cut into squares. Can be prepared a day or two ahead. 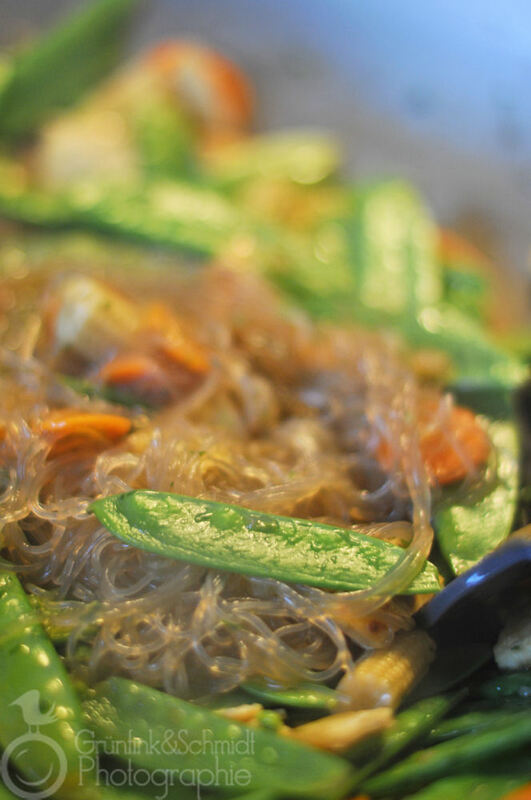 In a separate bowl, place the glass noodles. Cover with water. Peel the carrot, wash and cut into round slices. Clean the snow peas and remove any hard seams they may have. 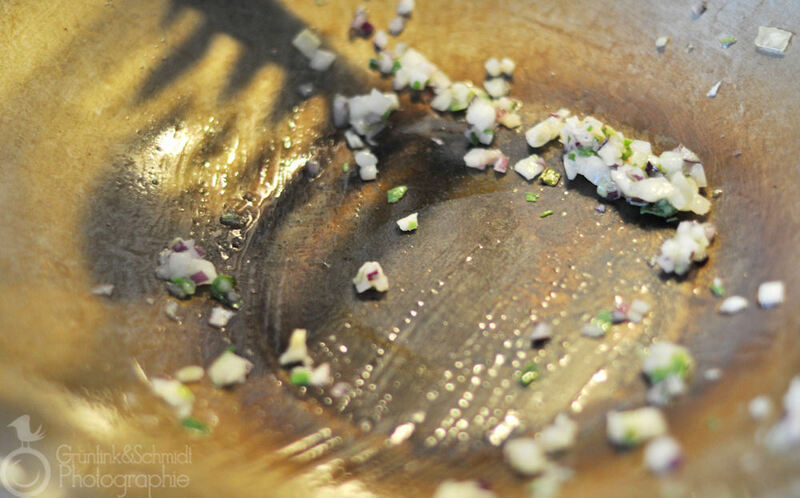 Heat the other teaspoon of vegetable oil in your wok, add the onion and garlic, stir for a minute. Add the vegetables and stir for a minute and a half, then add the soy sauce and vegetable broth, add the glass noodles and mix well. Place the corn starch in a cup, add a bit of water and mix into the wok, be sure to move it around well so that it thickens (you can ommit that last part). Add the tofu squares and toss stir-fry some more. All of this should take no more than another two minutes. Quickly scoop finished stir-fry into bowls and serve while still hot. You can vary this recipe with whatever vegetable combination you may have in your fridge right now ad nauseam. You can add nuts, too. I particularly enjoy either peanuts or cashews.